Tlaib said, “The ones that stay silent and the ones that support the Muslim ban. Not only once, but twice, three times did we in this nation say to the world and to everyone in this country that Muslims don’t belong here. From the fact that every time we talk about a wall, it’s not about a structure, but about xenophobia, it’s about racism. It’s a symbol in so many ways of targeting brown and black people in our country. The fact that we continue to stay silent is what’s going to make us as a country less safe. 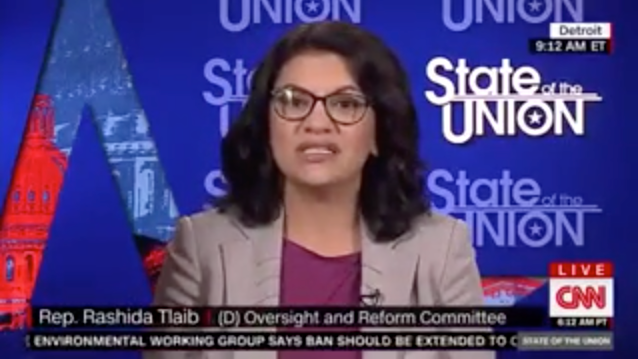 No Comments on "Tlaib: Supporters of Border Wall Are Following a ‘White Supremacy Agenda’"